At least, that's the rumor buzzing around the web this morning. "Draw Something," the social game that's kind of like a digital Pictionary, has been on fire lately, and is now the subject of buyout speculation. The rumored buyer? None other than San Francisco's Zynga, which, prior to just a few days ago, had the top-selling game in "Words With Friends." Now, WWF has been bumped by 'Draw Something." Zynga, flush with a billion dollars in cash from its recent IPO, is said to be dangling an impressive offer in front of "Draw Something's" creators. I must admit, I've heard so much about "Draw," I decided to check it out last night - early evening, to be precise. I was far from alone. According to the San Francisco Chronicle, between the hours of 5 and 6 pm PST, some 4 1/2 million people played "Draw Something." That's hot. It's only a matter of time before some celebrity gets tossed off a plane for his or her inability to switch it off. 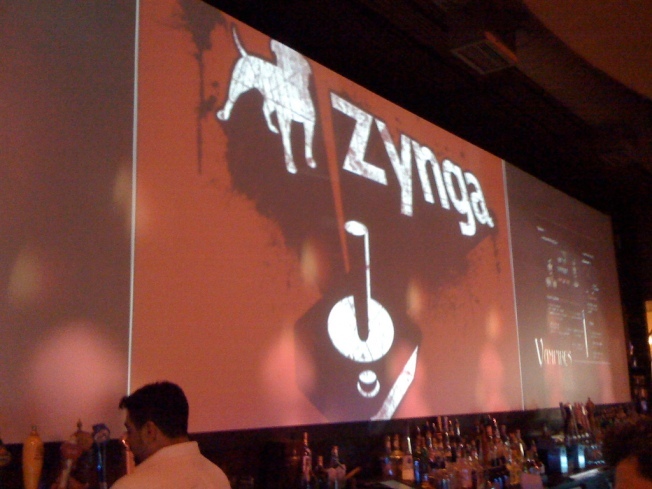 Zynga, understandably, would probably love more of that celebrity action.